From today's EMiniPlayer.net Trade Plan: Responsive Sellers were active in the overnight session, and ES pulled back to test the 1394-1395 Micro Bull/Bear Zone, where Responsive Buyers were active on first test. 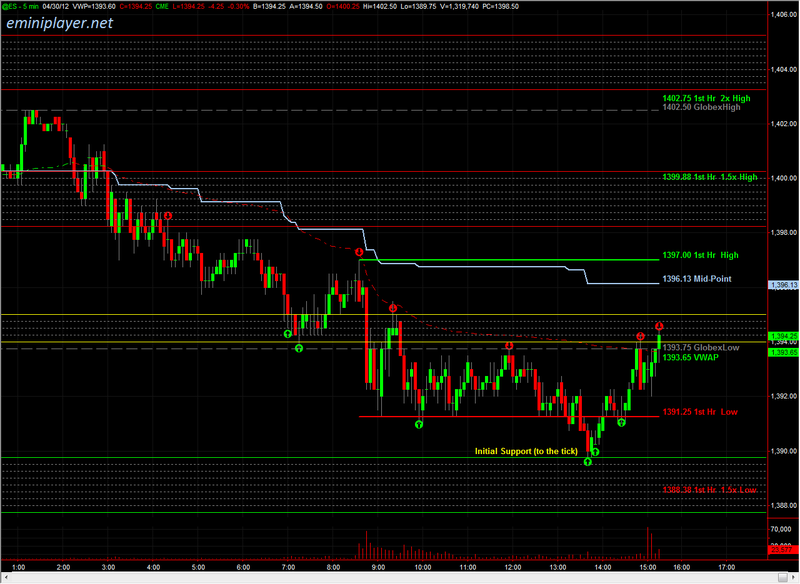 Heading into the day session, we'll continue using 1394-1395 as the Micro Bull/Bear Zone to establish directional bias. Holding above that area would bring the previous VPOC at 1398, and previous Close at 1398.50 into play...On the downside, a break and hold below 1394 would bring 1387.75-1389.75 Initial Support into play as a downside target...The primary catalyst this morning is Chicago PMI at 8:45 AM (released to Chicago PMI subscribers at 8:42 AM CT). 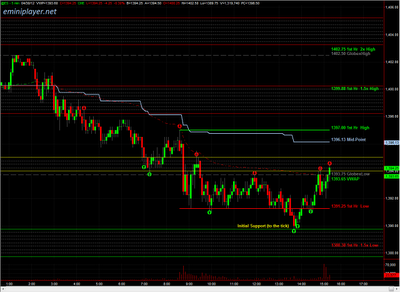 Use the Opening Range at 1394-1395 to establish short-term bias.